So, I enjoyed Captain America: The Winter Soldier. In fact, I think it is probably my favorite installment of the Marvel-Avenger-movie-cross-over-thingy that is ongoing. But, just as the previous sentence’s hyphenated monstrosity indicates a certain inability to classify this series of movies, I wonder how to classify this movie itself. Not in the sense that I don’t know which heading to put it under at the movie store; I’d put it under “Action,” unless they've just thrown up their hands and made a “Marvel-Avenger-movie-cross-over-thingy” section. The difficulty is in determining whether the movie is allegorical, metaphorical, fantastical, or realistic (though I flatter myself that I can identify a few elements that don’t fit that last description). And we want to do such a thing because we want to figure out what good this story does. super-soldiers and the Norse god of thunder. honest author, a story is a mental experiment that brings various ideas and concepts together and records the results of their interactions. We may disagree with the results the author presents, but our dispute is about the nature of the things he’s written about. He has at least provoked us to consider what we know and don’t know about those things, and to take a look at them. Stories like this are more like arguments than assertions, because they attempt to tease out implications of things given in the beginning, while assertions just give us something and stop there. If I attempt to write a story in this way about a violent and long standing disagreement between a man and his adult son, their estrangement and eventual reconciliation, then I sit down and say: “How do fathers and sons think about each other? What does anger do to people, and what is it? What possible resolutions exist?” I attempt to discover the truth of these things, and tell a story that’s events reflect it. Critics have mentioned the political commentary in the Winter Soldier, and I don’t want to go over it again because once is enough. It isn't as though it’s well hidden. 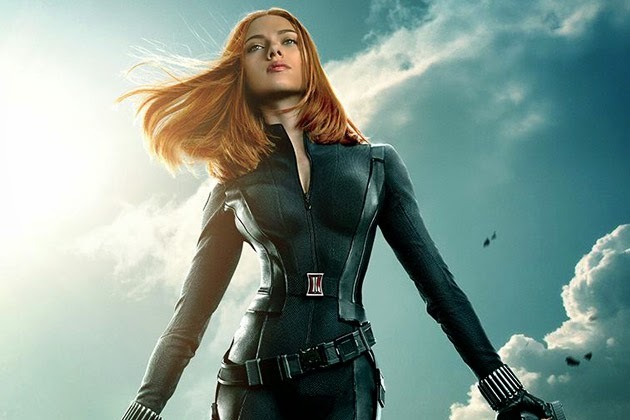 The movie says: “The only difference between the covert organization that lies, steals, and kills in its quest for a Utopian future (Hydra) and, well, ditto with a different logo (S.H.I.E.L.D) is the people on the hit-list. Disturbing, yes?” There you go. I said what the movie says. I’m done. It isn't subtle. It doesn't require an essay to tease it out. And the question is: is this because the movie is asserting rather than experimenting? How would it do that? experimental drugs enable skinny guys to do back-flips. It would do it by positing the effect of something, rather than positing the thing’s existence and then working out the implications. This essentially makes the thing in question allegorical; it becomes a stand-in for the effect, rather than a thing itself. 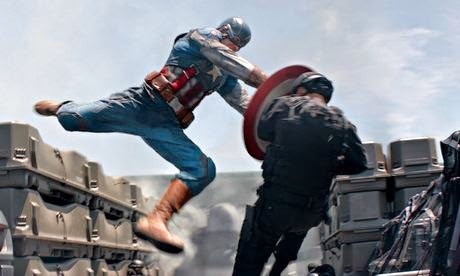 For instance, Captain America is a super awesome fighter. This is a given. But, while he can single-handedly bring down a harrier jet using some form of crashing-motorcycle propulsion and gymnastics, he has difficulty with an elevator full of burly guys – not much difficulty, but some. The point is that they could have written the fight in the elevator so that Cap had no problem whatsoever taking those guys out, but did have trouble with the harrier jet, rather than the other way around. They simply chose how they wanted the scene to go and then said: “Captain Rogers had trouble,” and then “Captain Rogers didn't have trouble.” We have no baseline from which to judge Captain America’s physical prowess, or with which to consider the implications of what is being asserted about him; he is just awesome in an undefined way. The same is true of the political statement in the movie. There is no indication of how in the world you could build flying, DNA sniffing, all-knowing, surgical strike platforms, so they are just an allegory for immense power. They do not go into how Hydra has orchestrated or carried out their plan to determine the course of world history and infiltrate all levels of government and society, so Hydra is just a stand-in for corruption and the desire for power. All this means that, if the movie as a whole is making a statement, it’s a pretty short one, and while it may be a good one (I think it’s pretty good) it doesn't really argue for itself, it just asserts things. Which, interestingly enough, I think makes it a kind of iconography; a set of images and arrangement of images that stand for ideas and maxims. We’ll just have to look elsewhere to figure out if they are the right ones.